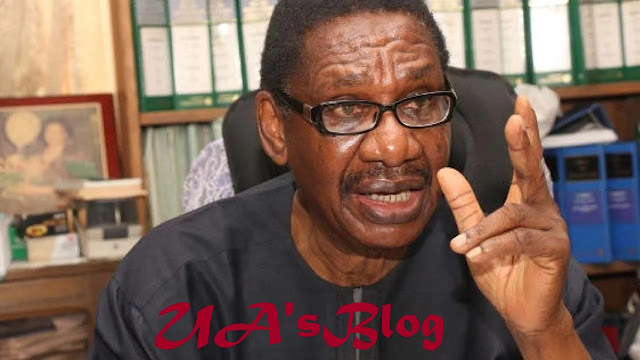 Prof. Itse Sagay (SAN), Chairman of the Presidential Advisory Committee Against Corruption (PACAC), has advised the leadership of the ruling All Progressives Congress (APC) to yield to the demands of state governors of the party to conduct indirect primaries in their states ahead of the 2019 polls. The governors, who are in favour of voting by delegates, are reportedly spoiling for war with the national leadership of the party through their various state chairmen. The governors want states to exercise their right to conduct indirect primaries in picking the party’s candidates for the 2019 general elections against the position of the party leadership as stated by the party’s Acting Publicity Secretary, Yekini Nabena. The party’s leadership has directed that all candidates be picked through direct primaries. In an interview with Daily Independent newspaper, Sagay, who is currently in the United States, said the party could not afford to go to war with the state governors who are critical stakeholders in the party, with just few weeks to the general elections. Sagay said the APC leadership could not afford to lose the election to the opposition Peoples Democratic Party (PDP), and advised the APC National Working Committee (NWC) to listen to the governors’ demands by accepting indirect primaries in the selection of candidates. “I will urge the party to think of the consequences. In this case, I will advise the party to acquiesce to their demands for indirect primaries rather than direct primaries.